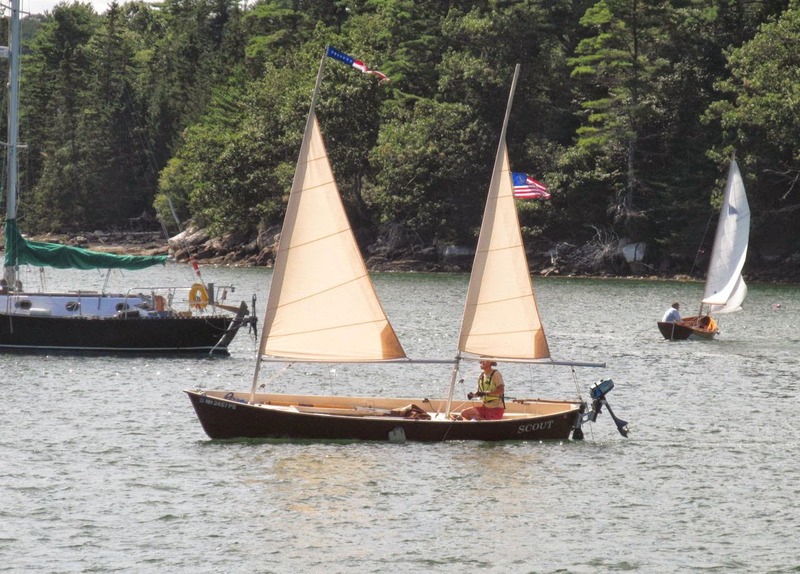 Building this Goat Island Skiff has been quite the up and down. There have been days of boredom when I stared at her and couldn't get started, days of excitement when she came together, days of satisfaction when I see my cumulative efforts, and of course, those days of agony over how to fix something or worse, "did I do that right? Because now it's too late..."
Oar building, however, has been phenomenally exciting, a shaft of light onto my project. To shape with my hands the object of manual propulsion for my beautiful boat brought a feeling of overwhelming satisfaction. Not only could I see immediate results, but I could easily see where I could make improvements on future oars. Nice. When I looked up from the first oar, and saw that, dammit, I just made an oar, and then saw my boat sitting on her buckets... well, it was definitely a "holy s**t!" moment, for sure. I think during a build it gets easy to see the trees-- the small projects, the small problems, the next step. In that process the big picture of a boat sitting in the garage ready to go sailing gets overshadowed. The oars brought the forest back into focus. My boat is not a series of problems and tasks and items to be completed. My boat is a she, a vessel designed and built to carry me over the water and to those distant shores of my summer dreams. When I look down at the oar in my hand that just yesterday was a pine plank, and I look up and see the boat, my boat... well then the smile is very broad and I am happy. So go build an oar. If you're on the fence on whether or not to build a boat or not, get some plans for an oar and build one. Then go sailing. Go rowing. Smile! Thanks. That captures this whole boat building adventure nicely. Beautifully put.